Merrick Auto Dolly Garage Service Seat and Attachment M998201 - California Car Cover Co. 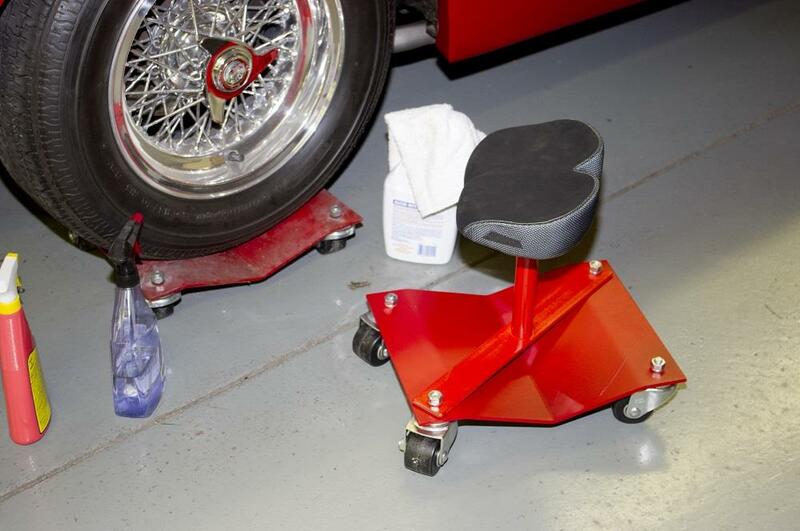 The Auto Dolly Service Seat Attachment converts either a Standard or Heavy Duty Auto Dolly (12" or 16") into one of the most useful and durable rolling seats you will ever use. Merrick Machine has taken the all-steel Auto Dolly and its great non-marring caster set and added a strong seat support with a professional extra-wide saddle-style seat that will be comfortable, even for extended periods of time. The saddle-style seat also contains internal spring supports that you'll find far superior to a layer of foam when your comfort is on the line. 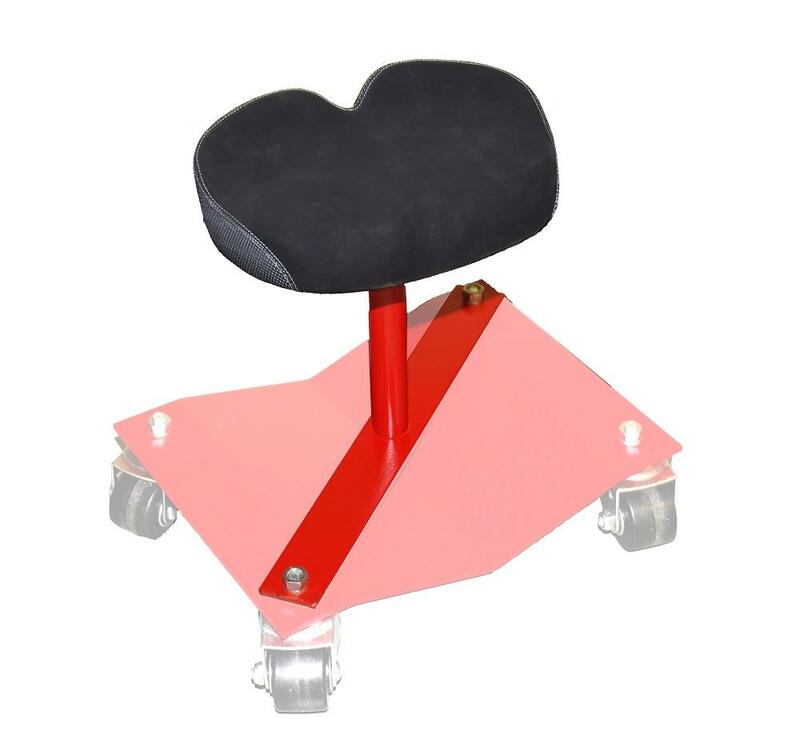 When considering the value this Service Seat Attachment provides, just think about how many of the inferior seat creepers your neighbor will be buying and throwing in the trash while you enjoy the comfort and quality of your Service Seat Attachment for The Auto Dolly.